Hope Your Week Is Starting Off Great! Glorious Goose is an Etsy shop I came across-she makes beautiful dresses, hooded bath towels and more! 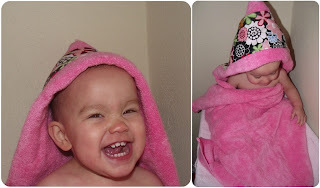 Glorious Goose was happy to partner with me and offer me a girls bath towel to review! She has great communication and my package arrived in a timely manner! I love my Princess' hooded towel! The colors are perfect for her, the softness is amazing and she looks incredibly cute in it! Glorious Goose has been so kind to give one reader a hooded towel of their choice! Get, Set, Enter & Good Luck! I LOOOOOOVEEEE the Paisley Bubble Romper! i love the dresses especailly the valentines heartsy one its adorable!